This November of 2017, Xaltius in collaboration with Code For Asia took to conduct a python basics training workshop called CodeCircles for beginners and those interested to hone their python skills. 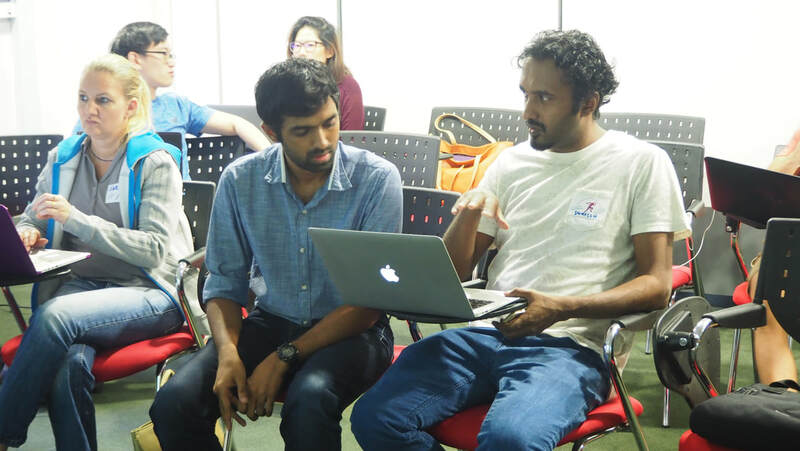 The training was largely attended by an avid audience consisting of PMETs, college students and working professionals, all of whom were eager to get their hands dirty and their programming skills in python up to speed. The course was structured over a period of one month and included theoretical and rigorous hands on sessions to get the audience as comfortable on python as quickly as possible. 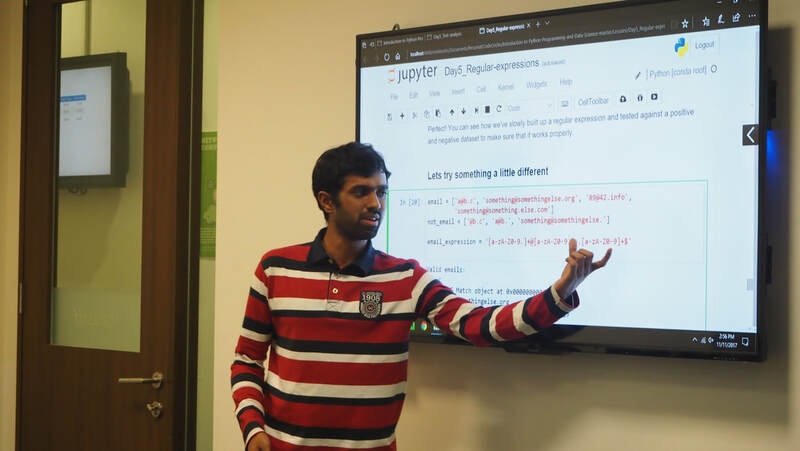 The course content itself ranged from the very basics of code structure and data types to data visualization, file handling and image processing on python, all of them done with the help of jupyter notebooks. One of the main aims of the workshops was also to help relate business cases to “how programming could help solve that”, either in terms of simple data manipulation, statistical calculations or complex data science algorithms. Through this workshop the audience took with them basics of programming, the various operations which could be done using python and most importantly, how all of the above could be of use to them either in their projects or business. As for the entire team of Xaltius and Code For Asia, both received a tremendous positive response.